Ronald A. Popper is the founder and Medical Director of The Southern California Pulmonary and Sleep Disorders Medical Center since its inception in 1984. He is Board Certified in Sleep Disorders Medicine by both the American Board of Sleep Medicine and the American Board of Internal Medicine – Subspecialty of Sleep Medicine. As one of the pioneers in the field of Sleep Medicine, he championed the concept of the free standing sleep center. Doctor Popper recognized the difficulty of performing personalized and efficient medical care within the confines of a hospital or university center. As a result of his efforts, the Southern California Pulmonary and Sleep Disorders Medical Center was the first non-hospital, non-university based Sleep Disorders Center to be fully accredited by the American Academy of Sleep Medicine. Born in Detroit, Michigan, Dr. Popper grew up in the suburbs of Oak Park and Southfield. He attended Michigan State University for both undergraduate and Medical School. As an undergraduate, he became one of the first Paramedics in the state of Michigan. As a result of his training as a Paramedic, he was recruited to teach advanced first aid and resuscitation techniques to first year medical students at the MSU Medical School. Following his internship and medical residency at the Hospital of the Good Samaritan in Los Angeles, California, he did a Pulmonary Medicine fellowship at VA Wadsworth / UCLA Medical Center. At the VA he did his fellowship research in the new field of “sleep disordered breathing” which ultimately became known as sleep apnea. Dr. Popper helped start the sleep center at the VA Medical Center prior to going into private practice. He is currently a speaker for the National Sleep Foundation and has written and lectured extensively on the subject of obstructive sleep apnea as well as numerous other sleep disorders. He is passionate about educating the public about sleep disorders and the need to accurately diagnose and treat them. To this end, he has been interviewed by numerous newspapers, magazines, television and radio programs. 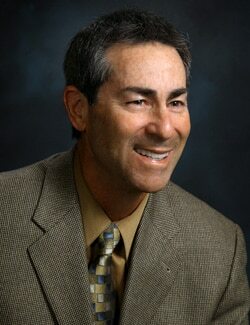 Dr. Popper lives with his wife in Westlake Village, California with their 2 dogs, Ella, a Cockapoo, and Lucy, an Akita-Wheaton Terrier-German Shepherd mix. They have 4 adult children. Besides his family and medical practice, Dr. Popper’s passion is playing golf. A few years ago, he reluctantly ventured into uncharted territory, known as Facebook, where he became reacquainted with his old rock and roll band members from the 1960s. Download Dr. Popper’s Curriculum Vitae.